We often talk about what the most powerful rewards and reinforcers are for our kids. Nintendo? Ice Cream? Movie Night? 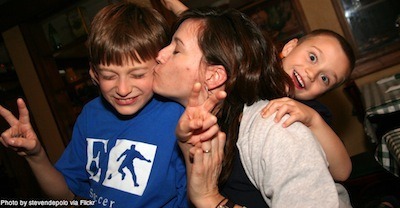 What is the most powerful parent reinforcer? Make a point to praise a friend’s kid today. Tell your friend something great about their kid. These things too often go unsaid. This entry was posted in Uncategorized and tagged reinforcement, rewards, Thought of the Day by BehaviorBandAid. Bookmark the permalink.